XDM can download FLV videos from popular sites like YouTube, MySpaceTV, and Google Video. After installing XDM, “Download This Video” button pops up whenever you are watching a video anywhere in the Internet. Just click on the button to start downloading clips. It can capture videos from YouTube, Metacafe, DailyMotion, Google Video or any other website and schedule downloads. XDM increases download speed up-to 500%. 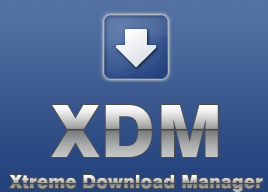 XDM can accelerate downloads by up to 5 times due to its intelligent dynamic file segmentation technology. The software resumes unfinished download from the place where they left off. XDM also comes with a smart scheduler and speed limiter. XDM also supports queued download to perform downloads one by one. Once installed, open the XDM download manager from Ubuntu Dash or Terminal. You can also create a shortcut. To do so, click on xdm file to launch it and create application shortcut from XDM Menu -> File -> Create application shortcut.